New 130,000 sf middle school built as an addition to the existing high school building, which remained occupied during construction. Approximately 23,000 sf of the high school building was demolished, and approximately 11,000 sf of the existing high school was renovated, to accommodate displaced programs. A new auditorium and music classroom were added to the existing high school. Site work included infrastructure and landscaping for the middle school addition, necessary relocation of utilities for the existing high school, and associated parking renovation and upgrades for the entire facility. 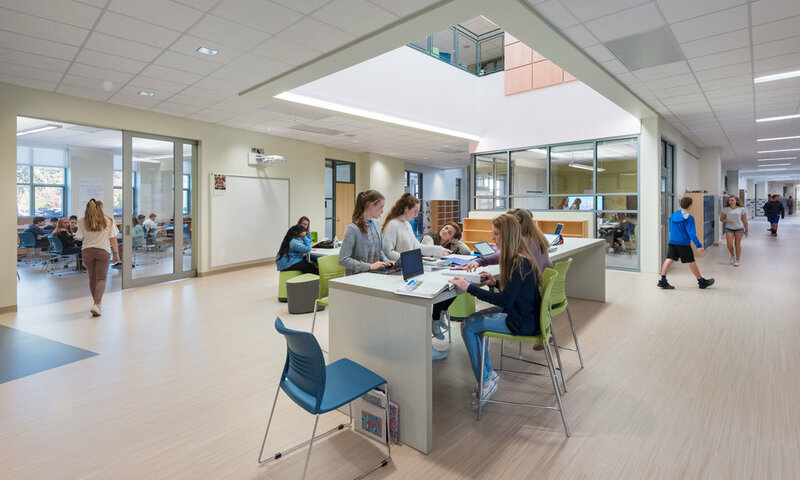 The new Scituate Middle School is anticipated to receive LEED Silver certification under the LEED for Schools rating system. Some of the sustainable features include daylight harvesting, high-efficiency heating and cooling systems, low-emitting finish materials, FSC certified woods, and water-efficient landscaping.